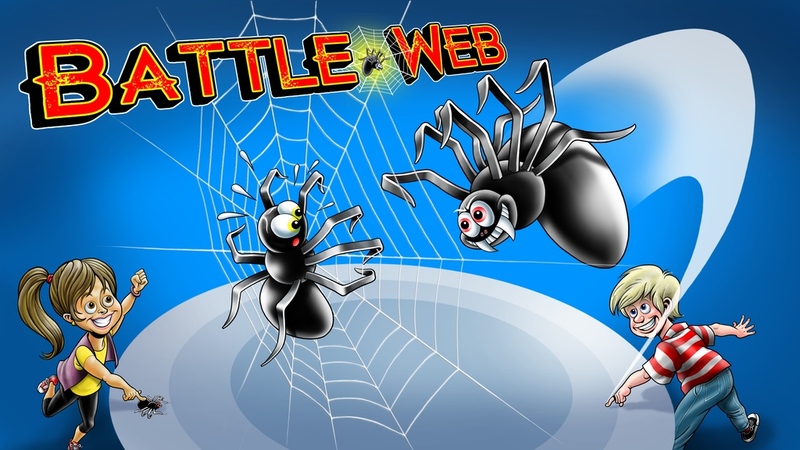 In the game, players are looking to get their spiders to stick to the web. There's various modes of play. You can either play competitively, looking to get your spiders to stick to the web while knocking your opponent's off. There's also cooperative modes, where you, or a team, are trying to get spiders to cling in a certain amount of time. They have sets in both black as well as glow-in-the-dark. The Kickstarter campaign is up and running now with 33 days still left on the clock.